We’ve asked Will Clark, of Online Estate Agent Sellmyhome to update us on the major infrastructure developments for London in 2018. He’s also shared his insight into what this means for those planning a London home purchase or investment decision this year. With Brexit causing continued uncertainty within the London property market, finding the right location for a home that’s also going to be an investment with opportunities for growth, is going to be harder this year. One of the enduring guiding principles for savvy home buyers is investing where there are upcoming transport and infrastructure developments. 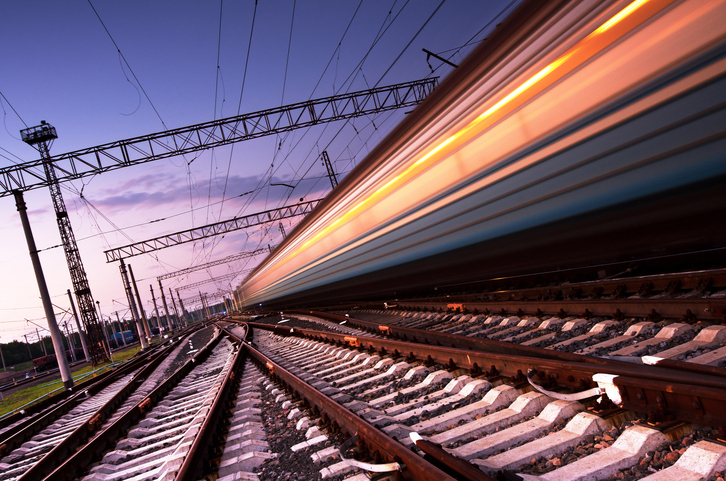 Where train lines go, property buyers typically follow. The same can also be said for road upgrades. The pull of an improved quality of life through reduced journey times to work is compelling. So we’ve asked Will Clark, Managing Director from Online Estate Agent Sellmyhome to update us on the major infrastructure developments for London 2018. He’s also shared his insight into what this means for those planning a London home purchase or investment decision this year. Most definitely not new news, but as you would expect from a £13.8 billion investment, Crossrail’s impact is vast. Plus with station launches planned for 2018, there will definitely be some ripples within the property market. Those who were quick to act nearly 9 years ago when the project was first announced, have already seen the risk pay off. House prices within one mile of any Crossrail station have risen by 66% (since 2009), according to data from Hamptons International. That’s 15% more than the London average. The project has clearly brought additional benefits to some of the lower-value locations along the route. 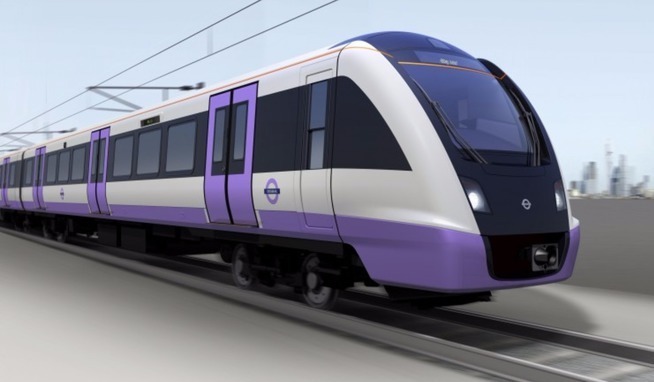 Notably Abbey Wood and Woolwich which, due to significantly improved transport links in 2018 and trains every 5 minutes by December 2019 (to central London and Heathrow), has kick-started a surge of new developments. Will believes this indicates that these areas still offer a longer term capital growth opportunity. Works are already underway to extend the Northern line to Battersea as well as developing a 2.5km stretch of Nine Elms Lane and Battersea Park Road (A3205). 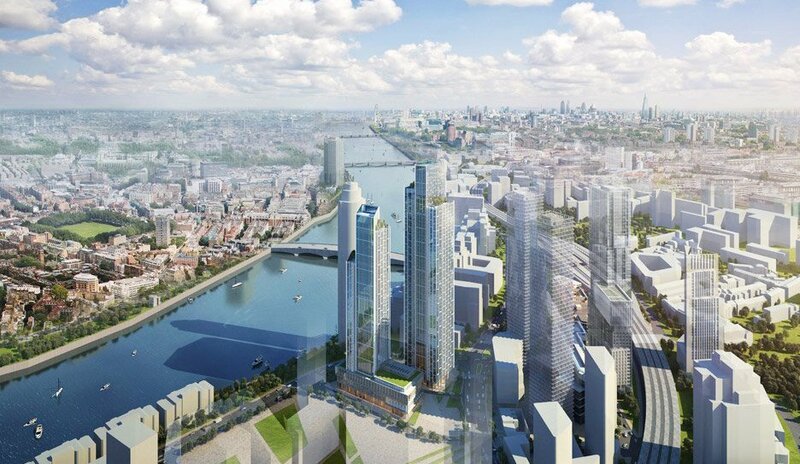 This will help regenerate the Vauxhall, Nine Elms and Battersea areas, supporting 25,000 new jobs and more than 20,000 new homes. The two new stations at Nine Elms and Battersea Power Station are targeted for completion in 2020. Recognising that the area is currently underserved transport-wise, the Battersea Power Station development is providing a free shuttle bus to take residents to nearby tube stations. For those wishing to travel from Nine Elms to Embankment, Blackfriars, Canary Wharf or any of the other 18 river bus stations along the Thames, Battersea Power Station Pier is already operational (since November 2017). With its better air quality, spacious and speedy boat services, and great views, the river bus services on the Thames are becoming one of London’s major transport connections. Investors are already well aware of the potential in the area. Some would say the development has been over-hyped, what with the PR that has been generated by Apple’s planned relocation to the iconic Battersea Power Station and the US Embassy already inhabiting a shiny new building next door. The news hitting the international press last week that a Malaysian fund had ‘acquired’ Battersea Power Station for a whopping £1.6 billion is bound to have whipped up international interest even further. There aren’t many major new transport projects with plans yet to be approved in 2018. So it’s worth watching out for the decision, expected by May this year, on the Silvertown tunnel construction. 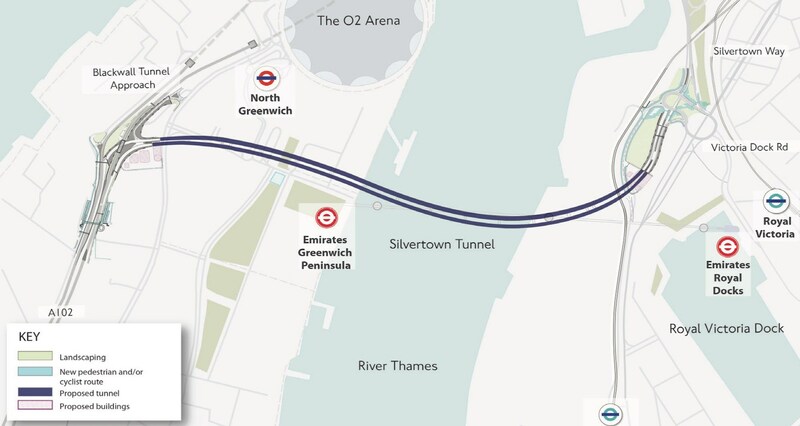 This project aims to connect the Greenwich Peninsula and Silvertown, reduce congestion at the Blackwall Tunnel and improve road connections to and from Docklands and east London from South London. If the project is approved this would likely boost property prices in the Docklands area, Greenwich, Blackheath and Woolwich. “Taking the lead from those who got in early after Crossrail was announced, property market trends would suggest acting fast on snatching up properties in these areas if the project is given the green light”, says Will from Sellmyhome. Plans were approved in August 2017 for this extension to the Overground line from Gospel Oak to Barking. 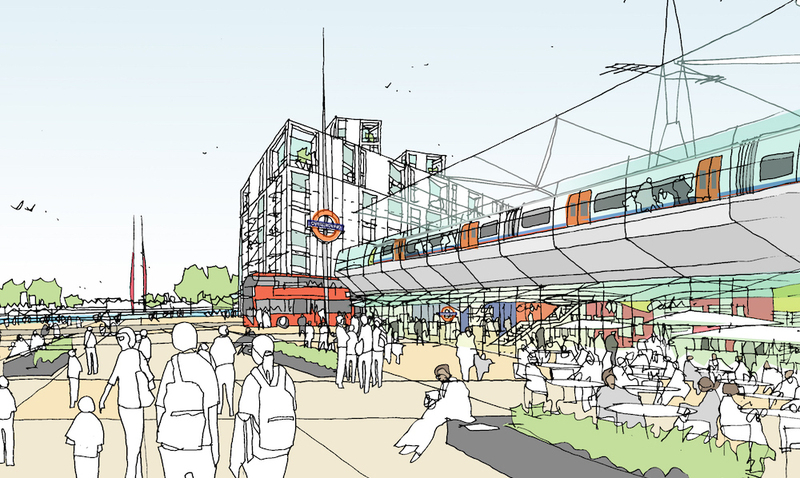 Work will start early this year to add 4km to the end of the line from Barking to a new station at Barking Riverside. When the station opens in 2020, commuters will be able to get to the city in 20 minutes. In terms of how this will affect the property value in the area, Will believes there is still space for growth. “We’ve seen tremendous growth in Barking and Dagenham over the last 5 years, with the Olympic Park development playing a key role in this. This growth has definitely slowed, but the area around Barking Riverside is showing a lot of potential thanks to this extension and the accompanying regeneration project”, Will says. 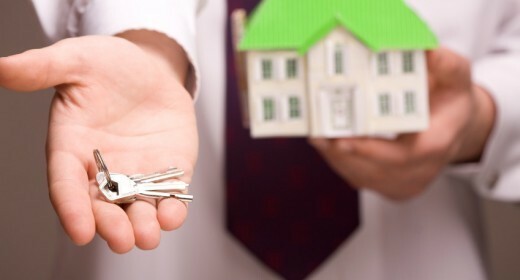 Despite all the doubts and uncertainty surrounding the property market in current times, it’s important to remember there will always be people looking to buy or sell their homes – or investment properties. Even when the market as a whole may not be improving in the short term, there will always be some smart short or long term investment opportunities surrounding areas with planned transport and infrastructure improvements. If you’re looking to sell your property, check out Sellmyhome.co.uk – they are rated 9.8 out of 10 on Trustpilot and charge only £795 to list your property.